These are some of the highlights from the USATF National Podium Education Project in Las Vegas from Dec 11-15, 2007. It was a dark and stormy night cold and windy day in Las Vegas for the outdoor session at the USATF National Podium Education Project. The video quality is “as is” as the University of Las Vegas Nevada (UNLV) campus is on the landing path for the airport. Every five minutes or so a plane would land making the presenter inaudible. At the request of Clyde Hart, I cannot present his lecture (well, at least not in full) but the outdoor session was more of a tutorial on sprint drills that he believes is beneficial to his athletes. 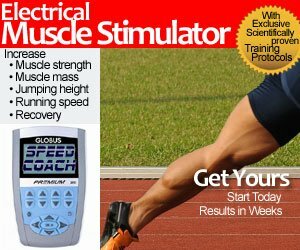 It prepares the athlete at the muscular, neural, and physiological level for sub max and maximal running ahead. These drills are not a warm up. They are part of the workout. Every coach can vary these drills accordingly. Some are performed before practice, others afterwards. My rule of thumb is to isolate a movement, or work on a specific items in doing drills. (i.e. hand action, arm action, dorsi-flexion, hip flexors, cadence, etc) You can accomplish 2 or more concepts, but please don’t try to do them all at once! Below is the video. Note that John Smith had his 30 minute session held concurrently, and then the 2 groups interchanged. Two different coaches, two different approaches. ago in Atlanta. Great workshop.